Gallatin, Tenn. – Ashley’s Place is once again participating in The Big Payback, a region-wide, 24-hour online giving event created to help Middle Tennessee nonprofits raise funds vital to continue their work, which directly improves the community around them. This is the second year that Ashley’s Place is taking part in the event. The charitable event, presented by The Community Foundation of Middle Tennessee, will being at 12:00 a.m. on Tuesday, May 3 and runs for 24 hours. Once the clock starts, anyone can visit TheBigPayback.org or www.ashleysplace.net and make donations to Ashley’s Place and other participating nonprofits, including schools and religious institutions, that serve the 40 counties of Middle Tennessee. Donors can view and select from participating organization based on location and focus area, such as animals, education, healthcare and more, and support multiple nonprofits with gifts ranging from $10 and up. 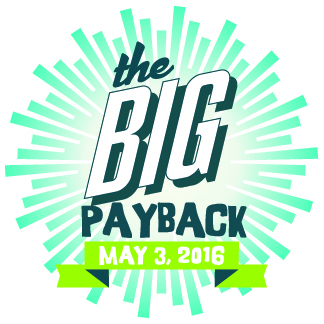 The Big Payback has seen remarkable growth from its inaugural event in 2014. That year, $1,492,492.50 was raised for 525 nonprofits. In one day’s time, more than 11,600 gifts were made to organizations focused on health and human services, animal welfare, the arts and more. In 2015, the amount raised increased to more than $2.65 million supporting 770 Middle Tennessee nonprofits. Gifts from the public during The Big Payback will be boosted with funds from sponsors of the event, which will provide opportunities for Ashley’s Place to vie for financial incentives and additional prizes. The online leaderboard, at TheBigPayback.org, will track donations in real time.